We love to try new things, and we heard you wanted a way to spend more time here — so this August we’re running our first-ever summer camp, for kids ages 10-12. 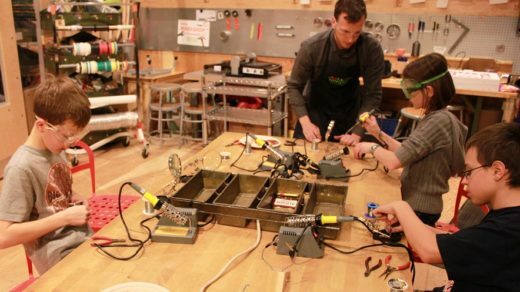 Join us for five days (Aug 18-Aug 22) to get your MAKESHOP fill before school starts back up. There will be a little bit of everything: electronics, sewing, woodworking… and a few surprises, too, of course! For more details and updated information, check out the Children’s Museum of Pittsburgh Summer Camps page.